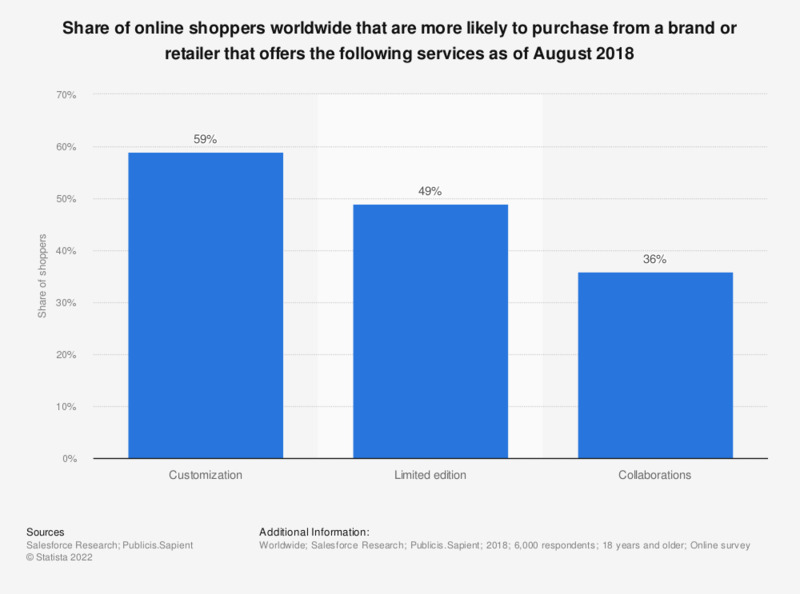 This statistic presents the share of online shoppers worldwide that are more likely to purchase from a brand or retailer that offers the following services. According to the August 2018 findings, 59 percent of respondents stated that they were more likely to purchase either from a brand or retailer if the following services such as customization of products were offered, while an additional 49 percent stated similarly if limited edition products were offered as well. Respondents from the United States, Canada, United Kingdom, France, Germany, Australia.